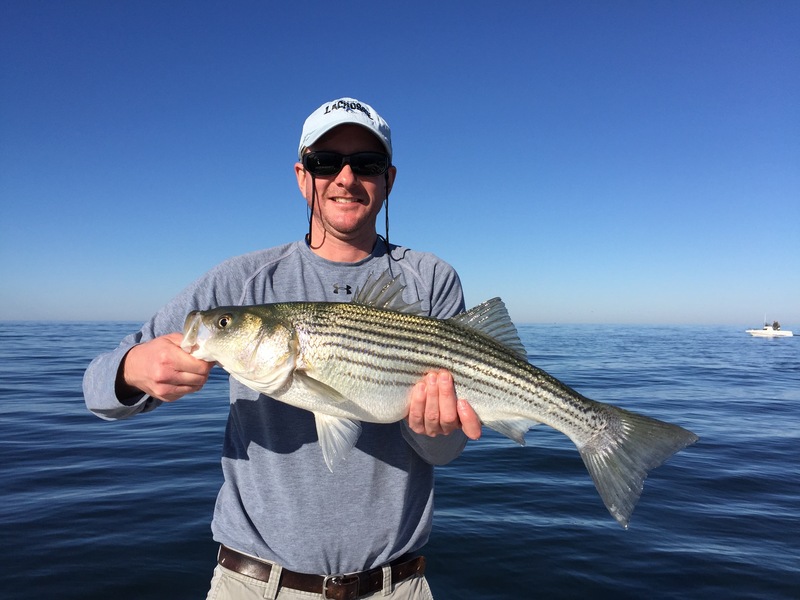 Unseasonably warm weather is keeping the bay water temperature in the mid-fifty degree range. 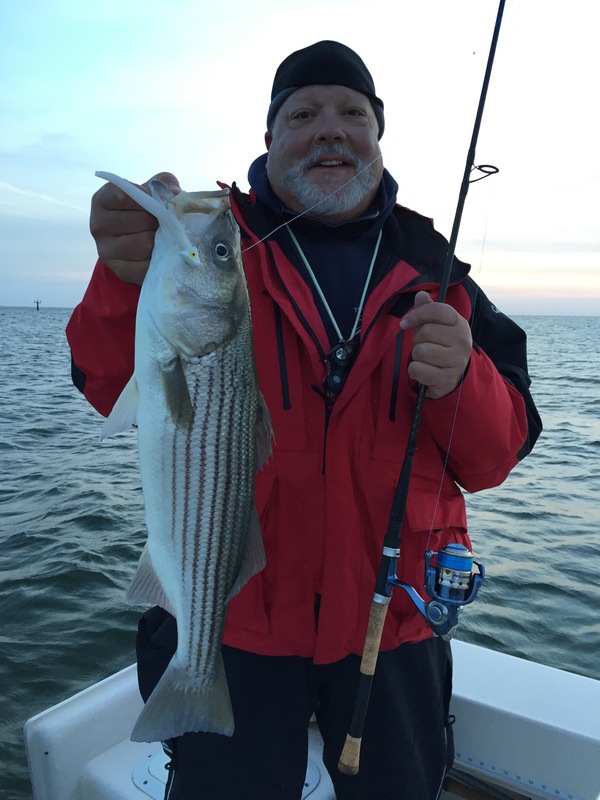 This is prolonging the shallow water rockfish bite in Tangier Sound. 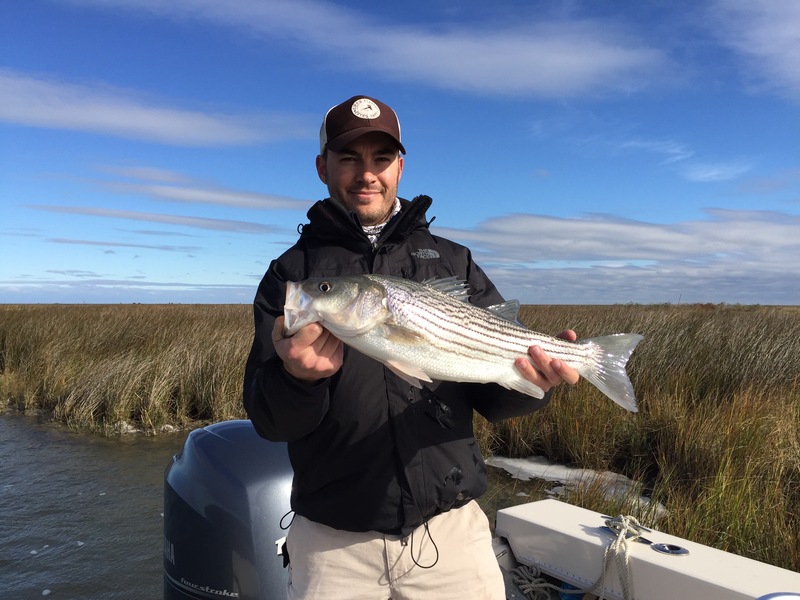 While we aren’t necessarily seeing the numbers of several weeks ago the size has held steady with fish to 32 inches, with many in the 20 to 23 inch range. Great fun on fly and light tackle. 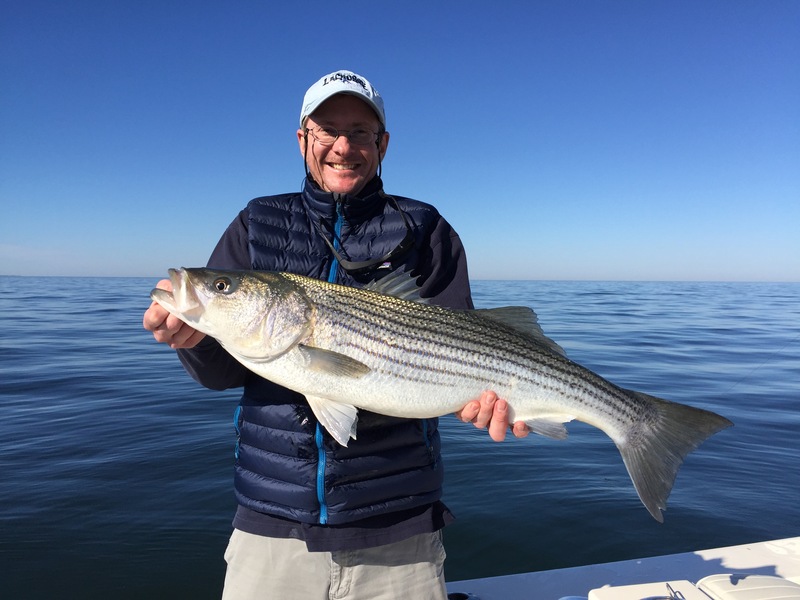 Look for the skinny water bite to diminish soon as large schools of breaking fish have been observed in the main bay from buoy 72 south to below the MD/VA line. 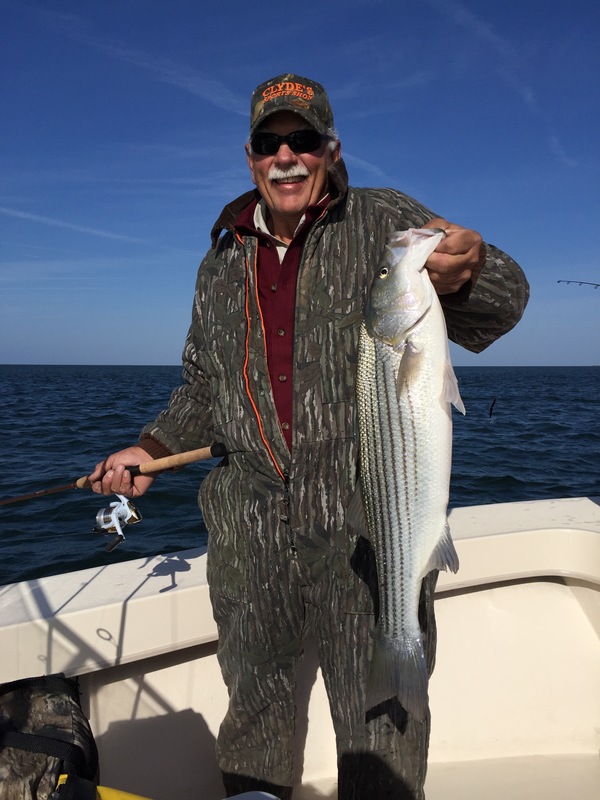 Either way, we look for a great end to what has been a terrific fall striper season.